With the Elite Eight halfway through, we now know one game of the Final Four that will be taking place on Saturday the 4th of April. By the end of Sunday, we will know the two teams for the other game and a week of build-up and preparation can begin in earnest. It was an exciting Saturday with two massive games in the Elite Eight and if the Sunday games can rival them for intensity and drama, there will be a lot for people to love about what is taking place this weekend. 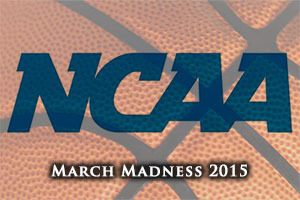 There are still plenty of March Madness betting opportunities left for today, this weekend and of course, the real betting action starts again from tomorrow as people start to plot who will emerge victorious from the Final Four. This may well have been the toughest test of the Wildcats season but they have emerged unscathed, clinging on their 38-0 record. This isn’t to say that the Final Four will be easy, far from it, but this was a big challenge that saw the Kentucky side being pushed to the buzzer by a strong performance from Notre Dame. Karl-Anthony Towns was in excellent form for the Wildcats, offering up 25 points, which was a career high. He managed a 10-13 for his shooting, which includes an impressive 8 for 8 in the second half of the game. He also offered up 5 rebounds, 4 assists and 2 steals. Another impressive player was Zach Auguste, who provided 20 points and 9 rebounds for the Fighting Irish, and he also went 10 of 13 in shooting from the field. 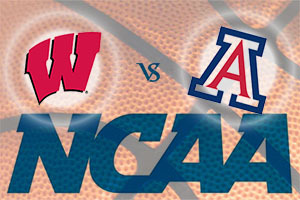 The clash between number 1 and number 2 in the West was expected to be a close one but Wisconsin managed to take the spoils with a big help form a number of three point shots. The Badgers delivered 12 of 18 three point shots which includes 10 of 12 in the second half, an indicator that they could handle the pressure on them. Sam Dekker was a key player in the win, grabbing 27 points, a new career high which comes hot on the heels of the career high he had set on Friday! The outcome of the two games means that Kentucky will play Wisconsin the 4th of April to grab a place in the Championship game. The fact that both of these teams are number 1 seeds indicates that the people in charge called something right but of course, it places a greater deal of pressure on the teams battling it out on Sunday. Given that Duke are number 1 seeds, they will be desperate to join the top picks but they face number 2 seeds Gonzaga in their Regional final. The number one seed in the East is already knocked out, with Villanova being defeated by NC State. Of course, NC State was then defeated by Louisville and the East Regional final sees the 4th seeds (Louisville) taking on the 7th seeds, Michigan State.